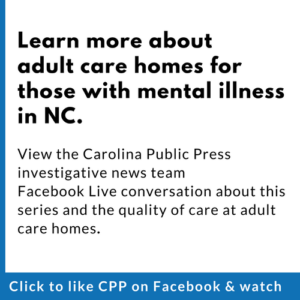 The North Carolina Association of Long Term Care Facilities, which represents the adult care home industry, responded to Carolina Public Press’ recent four-part investigative series, “Questionable Care,” last week in a statement that partially agreed with CPP’s findings about the flawed regulatory system while defending its members efforts to prioritize their residents’ well-being. 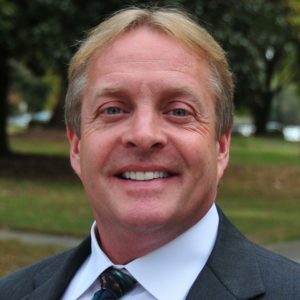 Jeff Horton is executive director of the North Carolina Association of Long Term Care Facilities. “The regulatory structure of adult care homes in North Carolina is unlike any other program the Division of Health Service Regulation license and regulates,” said Jeff Horton, who recently became executive director of the association, in his statement. A key finding of the series was that the substantial role of the state’s 100 county social services agencies in monitoring adult care homes was creating inconsistencies in regulation. “While adult care homes rely on both state and county staff to conduct monitoring and oversight, other programs licensed and regulated by the Division are regulated at the state level, which may lead to better consistency in inspections,” Horton said. Horton knows a bit about the Division of Health Service Regulation — he worked in adult care monitoring for the agency for several years before going to work for the association. He noted that the agency has been successful in monitoring similar types of facilities without county involvement, even when quick responses to complaints are needed. In Horton’s statement, the association offered an assessment of state’s star rating system that recognized the need to correct problems and applauded recent legislation that will encourage DHSR to evaluate its effectiveness and consider changes. “It should be noted that of the many health-care facilities and services the Division of Health Service Regulation licenses and regulates, adult care homes are the only program with a state licensure star rating program,” Horton said. In the association’s response to the series, Horton pointed out that the articles focused on “some unfortunate cases in some adult care homes,” which may not be representative of the whole. His organization represents about 300 of the state’s more than 1,200 adult care homes, mostly those with more than seven beds, but also some of the smaller family care homes that are limited to six beds. The association also provides training to help adult care home company employees do their jobs better, which is available to both members and non-members. “We believe the majority of (adult care) homes in North Carolina provide good care,” he said. For evidence, he pointed to star-rating system in which the majority of homes receive three or four out of four stars. In presenting “Questionable Care,” CPP stated that it focused on the most heavily penalized facilities rather than those that had no issues. Although “Questionable Care” critiqued the existence of zero-star facilities, it also noted that only about 40 such facilities existed as of June 30, and some of those had been closed but not yet removed from the state’s list. On the issue of state penalties that was a key emphasis of the series, Horton also offered a measured response. “In terms of penalizing homes, we believe in some instances penalties may be necessary, however, residents may benefit more if the money used to pay penalties could be used to correct problems and improve care,” he said. For the many adult care homes that rely primarily on reimbursement through public funds, a system that Horton said has not kept up with inflation, he described challenges for homes in meeting their regulatory burdens while also paying to keep adequate staff and keep up maintenance. 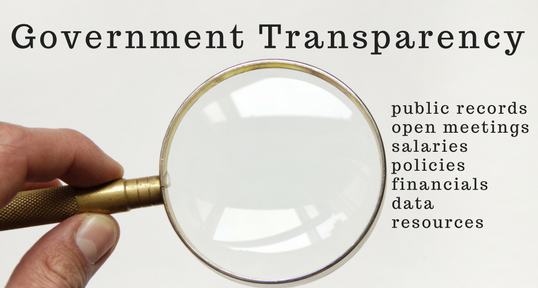 However, some of the most penalized homes featured in CPP’s reports are structured to rely on private payments through marketing to families with ample resources, and are mostly not dependent on public funding. Asked about why these homes would experience the same sort of problems, Horton suggested some penalties result from things just happen to go wrong, such as a resident from a dementia wing who escapes despite reasonable safeguards. “Even the best facilities with the best funding are going to have problems,” he said. When Horton attended national conferences as a state employee, he often talked with his peers in other states about how they regulate adult care homes, he told CPP. The others found North Carolina’s policies to be strange, he said, in many cases with measures more appropriate for nursing homes. Regulating trivial or inappropriate things and emphasizing those regulations over more relevant measures of good care can distract from doing things that may be more important in ensuring consistent and excellent care at adult care homes. Pointing to North Carolina’s 2011 Regulatory Reform Act, which allows agencies to identify “existing rules that are unnecessary, unduly burdensome, or inconsistent with principles” for review and repeal, Horton said he hopes DHSR will use this tool to rethink its approach to adult care homes. One example he noted was the difference in how homes are required to administer care that is regulated by both federal Medicaid rules and the state’s adult care home licensing rules. Balancing those differing requirements can be difficult, he said, suggesting that the state requirements should be lined up more closely with the federal guidelines. Several advocates for housing for mentally adults with whom CPP spoke for the series provided critiques of the adult care home system in general, even when it works as intended, calling on the state to provide more options for people who need a lower level of care. This is also the position that the U.S. Department of Justice has taken in its ongoing litigation with the state over what options have been made available and accessibility of those options. The state has replied with legal filings saying it is providing adequate options, as required under a 2012 settlement with DOJ. The matter could come before the federal courts soon. Horton disagreed with the contention that there aren’t sufficient options. 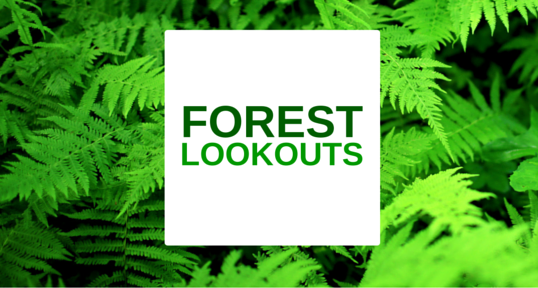 “There are other residential settings in which these individuals can reside, such as supervised living homes, which are also licensed and regulated,” he said. The existence of housing alternatives does not necessarily seem to be a matter of debate. The state’s role in making these options common and accessible enough to be viable choices for substantial numbers of mentally ill adults is being questioned. Federal litigation appears to hinge on this question: Has the state’s regulatory structure and other actions done enough to create and incentivize the expansion of these alternative facilities in a way that is making them an option adequate numbers of their potential residents? Although the federal case targets the state and not any private industry, it’s likely that the adult care home industry will be paying attention if the dispute gains further traction in the courts.